This beautiful set is brilliant for little ones. The burping cloth is fantastically useful, and can be used in all manner of ways when the occasion arises. 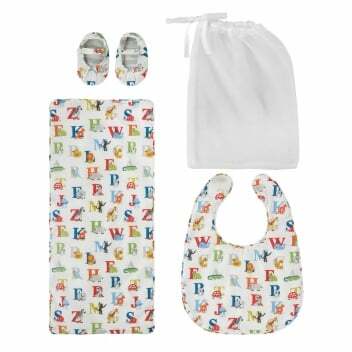 The booties and bib are utterly adorable, and the animal alphabet pattern is delightfully whimsical. This is one set neither parent nor baby will want to be without.